This past summer Shannon Young took the decision to quit her day job to become a full-time writer in Hong Kong, where she lives with her half-Chinese husband. As regular readers of the Displaced Nation will know, she has kindly agreed to chronicle this experience on our behalf. 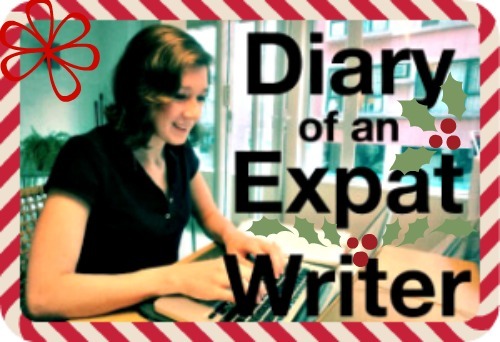 * Her December diary entry appears on Christmas Day for a reason—read on! 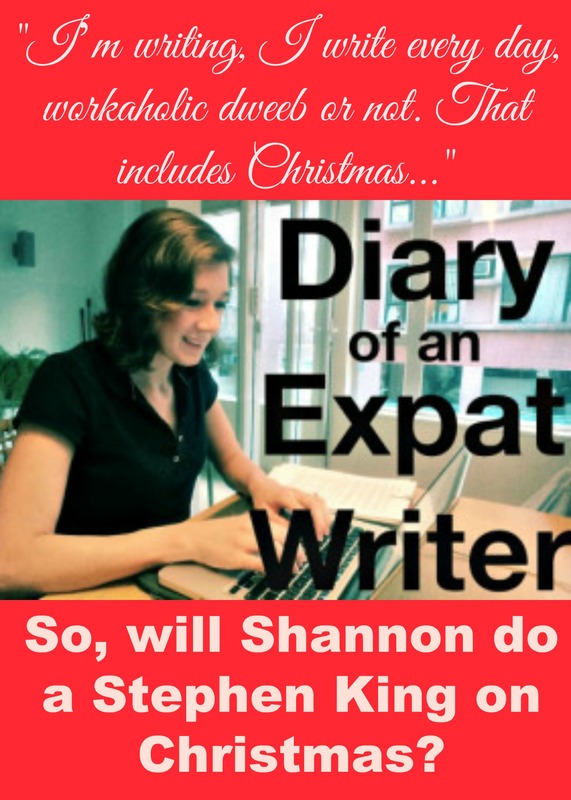 This is my fourth update on my new life as an expat writer in Hong Kong. As I type this, I’m sitting in the Hong Kong International Airport waiting for my flight home to Arizona for the holidays. My plane is a little late, giving me time to reflect on the past four months. I’ve written a lot about the bigger milestones I’ve reached this fall. They include the release of two books, one traditionally published and one self-published, speaking at a literary festival, and signing an audiobook deal. I get up when my husband leaves for work around 9:15 am. I go straight to my computer to check my email, sales ranking (this is a bad habit), and Facebook. At some point, I grab some breakfast (usually yogurt) and make a cup of tea. Over breakfast, I catch up on my favorite publishing blogs, read the news, and take care of any miscellaneous internet and email tasks. Next I either take a shower or go to the gym (where I listen to audiobooks on the treadmill). I’m ready to work by 11 am or 12:30 pm. I walk to a coffee shop, usually the Starbucks near me that has a tall table where I don’t have to hunch over my laptop. I typically write for three or four hours at a stretch. I only do more if I’m really on a roll. I’ve found that any more than four hours of actual writing time becomes counterproductive. When I hit a good stopping place I head home to make a late lunch or take a detour somewhere to eat and read. Those stopping places are often when I’ve been working at a tough problem like a segment of dialogue that doesn’t sound right and I don’t feel like I’m making any progress. Rather than continuing to chew at it, it helps to leave it and think about the problem throughout the rest of the day. Often I’ve come up with a way to tackle the issue by the next writing session. After lunch I take care of more miscellaneous tasks like writing blog posts, answering emails, and doing research. I find that even if I’ve exhausted my writing energy for my book-in-progress, I can still blog and work on other things. The change of pace and change of location help me to continue being productive past the four-hour mark. I usually work straight through until my husband gets home. Sometimes I stop to read, but I think that counts as work these days. I read widely, staying caught up on my genres while seeking inspiration from other types of literature. I read writing craft and publishing business books too, but not too often. I find it’s generally more productive to practice than to read about how to do things. I don’t write in the evenings, except on Tuesdays when a regular group of writers gathers at a local coffee shop for two or three hours to work side-by-side on our own projects. I make a point of only going to that particular coffee shop on Tuesdays, and the habit helps me to be productive even if I’ve already been writing for a few hours earlier in the day. I’ve been reading a book lately called Daily Rituals: How Artists Work. It’s a collection of short descriptions of the work habits of famous writers, artists, and composers by Mason Currey. I’m reading a few entries at a time, and it’s amazing how similar the habits of the artists are. Like me, they work for a solid chunk of time (often three to four hours) and then devote the remainder of the day to correspondence and other tasks. Over a lifetime, they produce an incredible amount of work like this. One theme I’ve noticed is that very few of the writers profiled actually waste time waiting for “the muse.” They just sit down and do the work. They recognize that although inspiration is helpful, you can’t sit around waiting for it. At the end of the day, you still have to put in the hours. For now, I’m putting in the hours and getting the work done. The jury is still out on whether this new path will be sustainable. I’m bringing in a bit of money and selling a few books, but I’m not there yet. I know it’ll take more books and more satisfied readers recommending my work to their friends before I can call this experiment a success. For now, I am happy with the process. I have my routine. I might even keep working over the holidays just because I love it. In On Writing, his singular meditation on the writing life, Stephen King writes about how he used to tell interviewers that he wrote everyday except for Christmas Day. In the book, he says that was a lie. He even writes on Christmas. Perhaps I’ll do the same. Well, my plane is boarding now. Thank you for all the encouraging comments over the past four months. I’ll keep you updated on my writing adventures in the New Year.